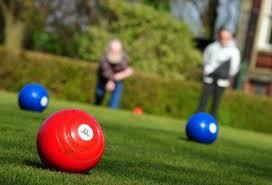 Crown Green Bowls is the perfect sport for people of any age. It is quick to learn, but takes a lifetime to master. Clothing is casual, equipment is inexpensive and club membership is affordable to all. The Bowling green can be any size or shape, and has lumps and slopes unique to each green. Bowling on this surface is challenging and uses great skill, ensuring both mind and body are exercised. Both friendly and competitive, it is a truly inclusive sport. Our County and Clubs run various Open Days and taster sessions throughout each season (April to September), specifically to introduce new players to our sport. Details of confirmed events open to the public will be posted here and included in our events calendar. If you are interested in learning to play, please contact our County Development Officer.